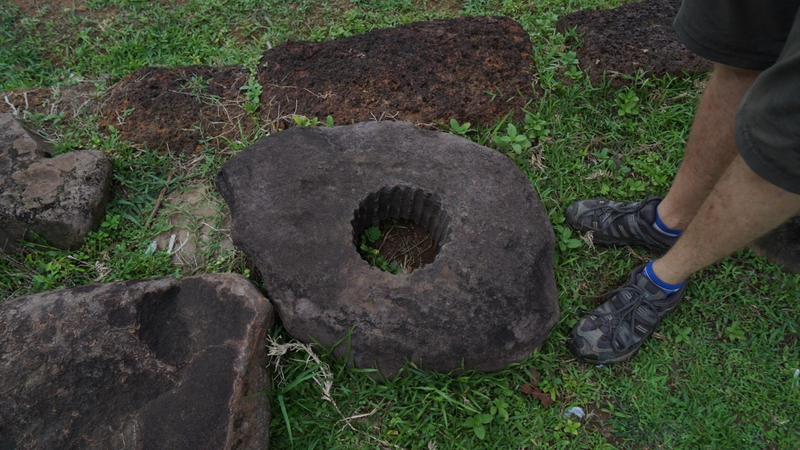 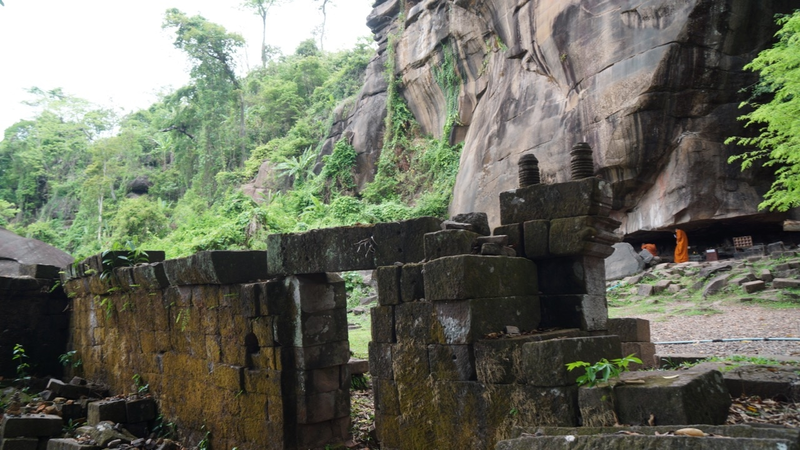 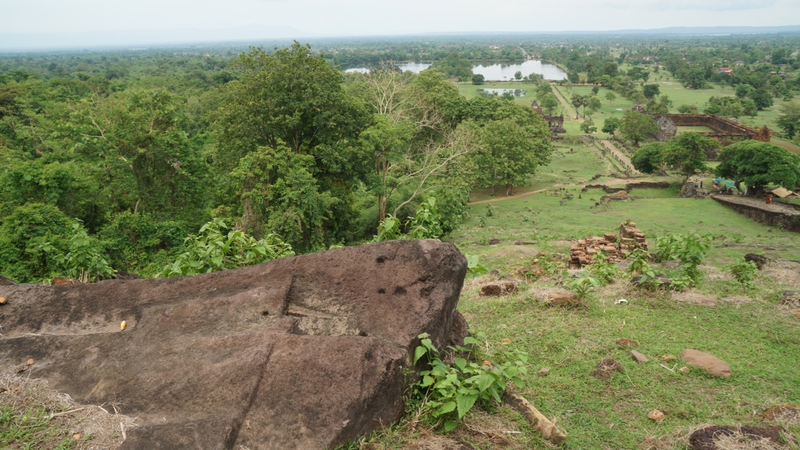 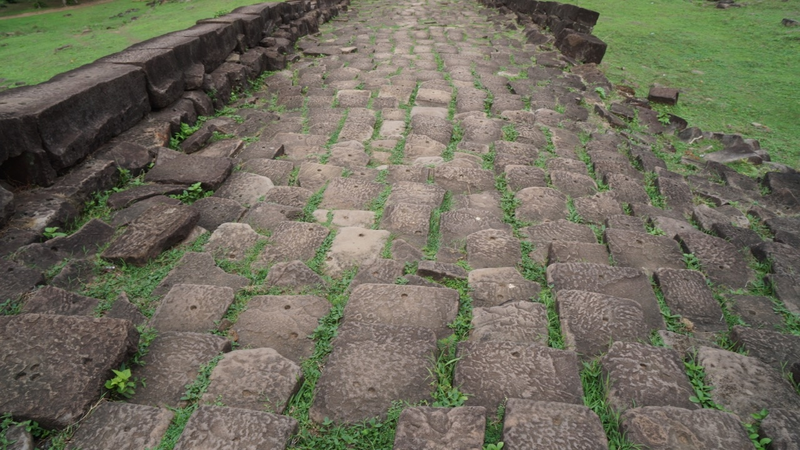 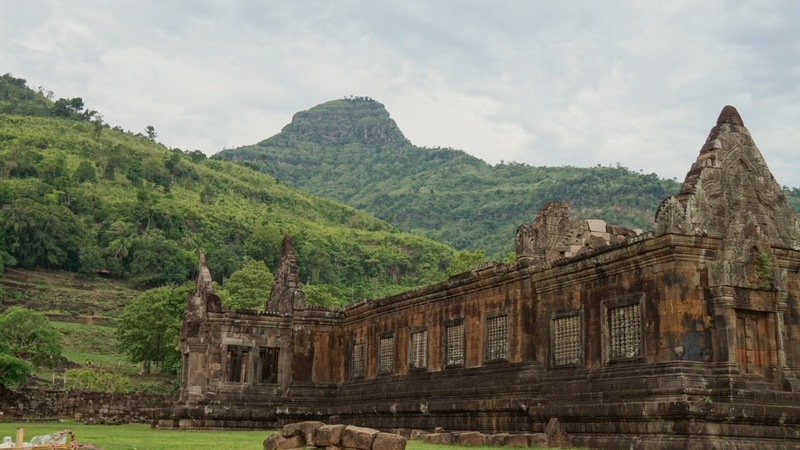 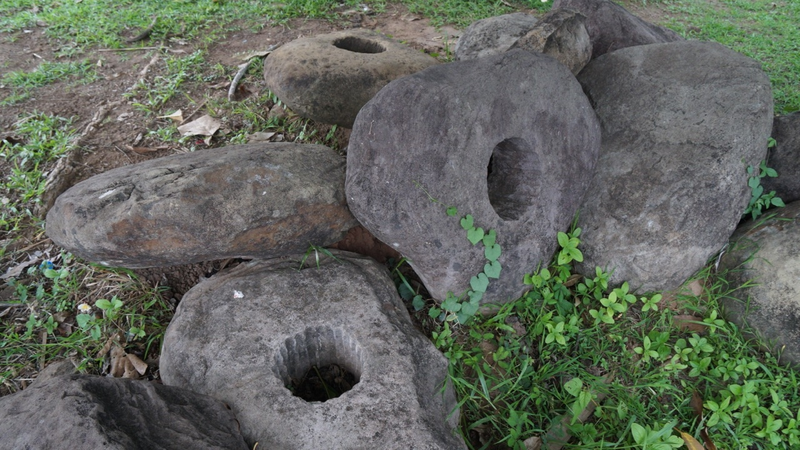 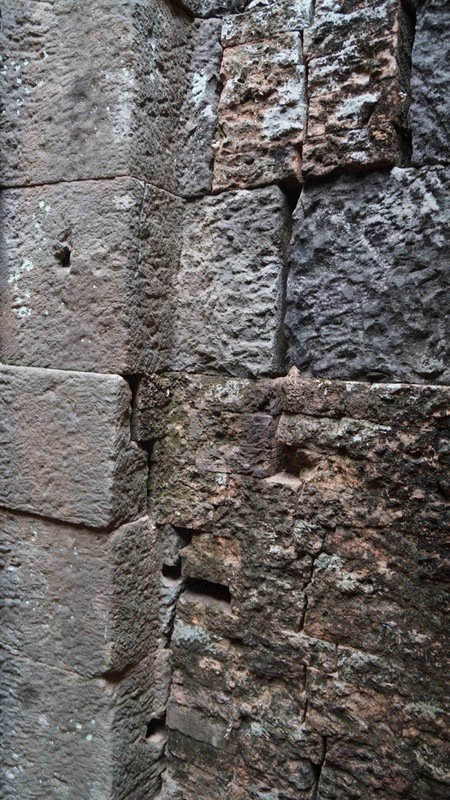 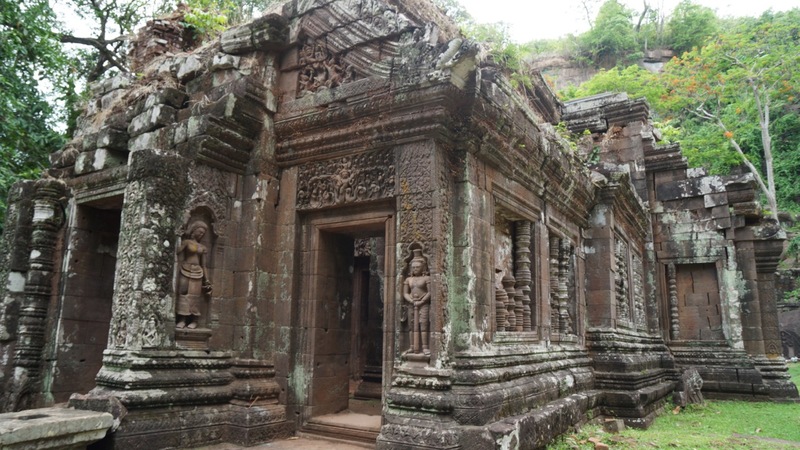 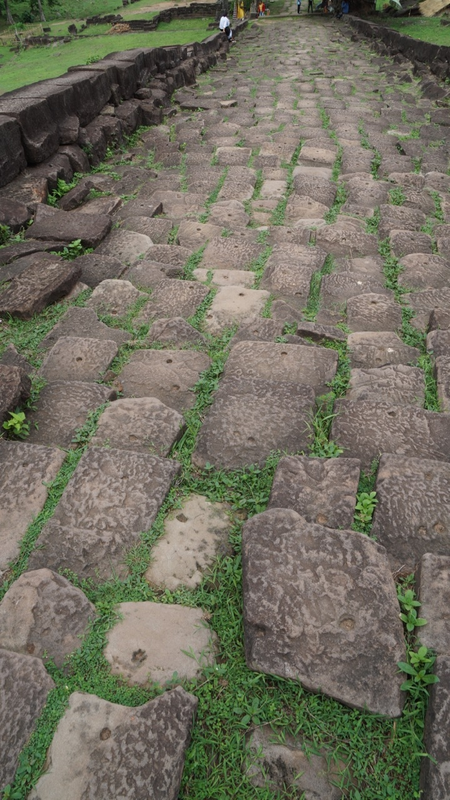 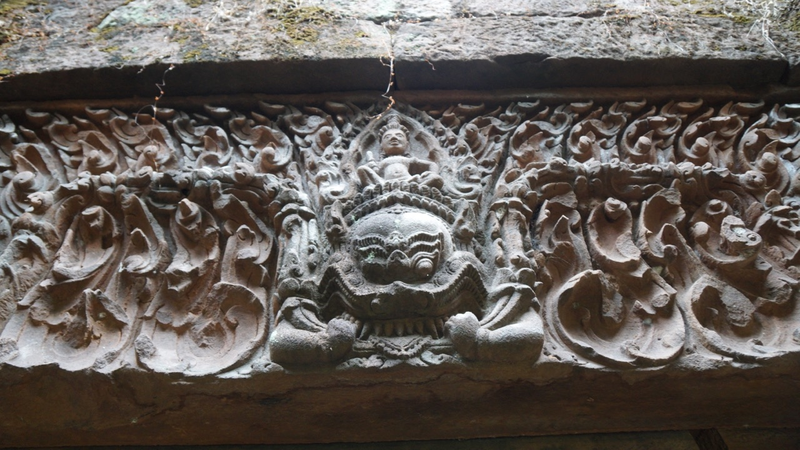 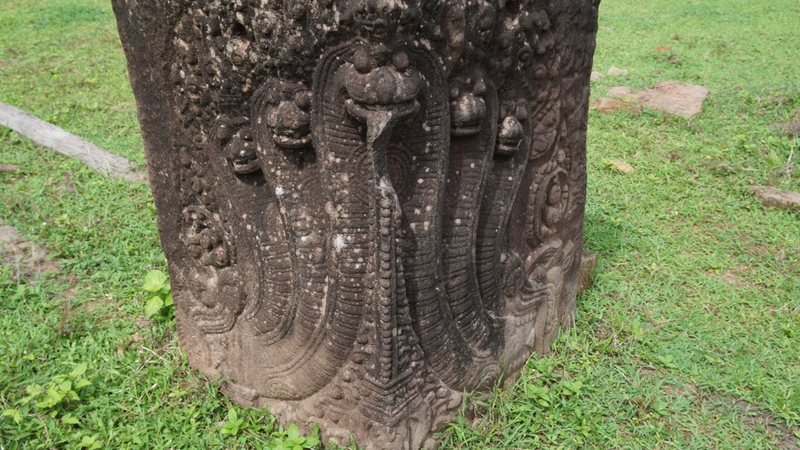 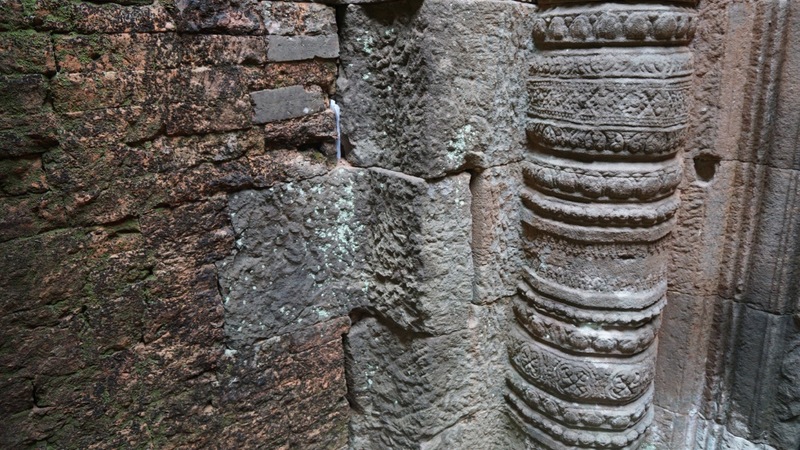 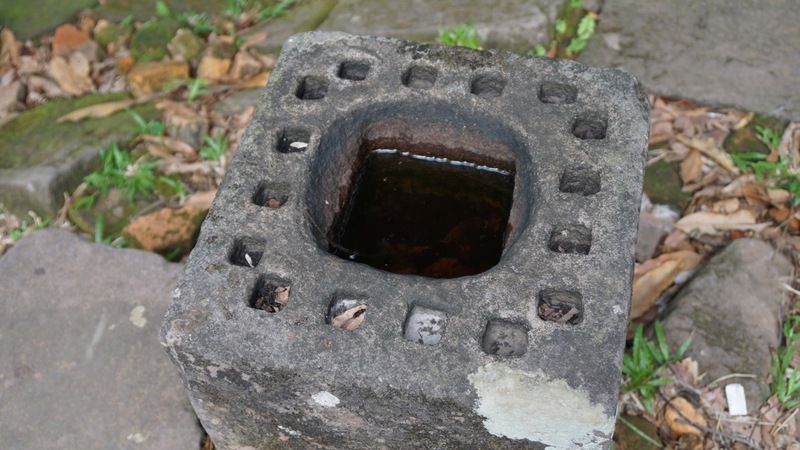 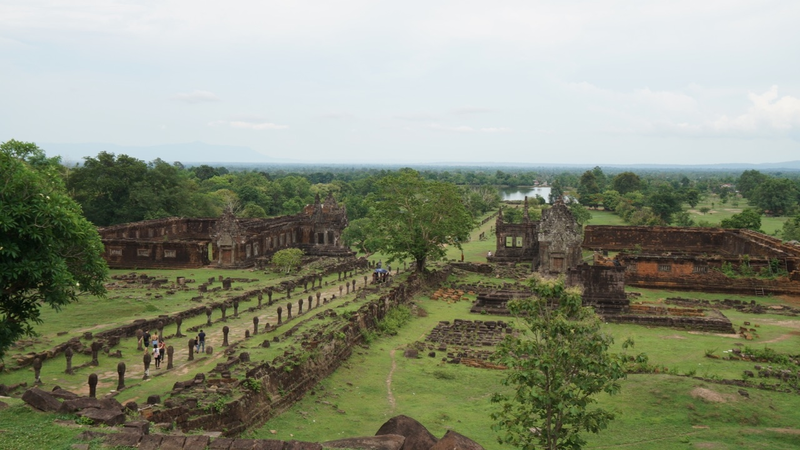 Vat Phou is part of a huge ruined Khmer Hindu temple and city complex that was also connected by road to Angkor Wat. 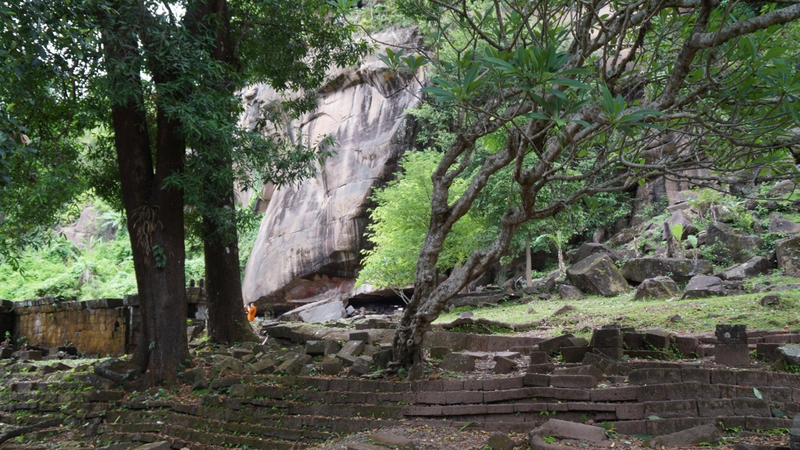 The mountain at which it is based was considered the home of Shiva, and the whole temple leads to a sacred spring. 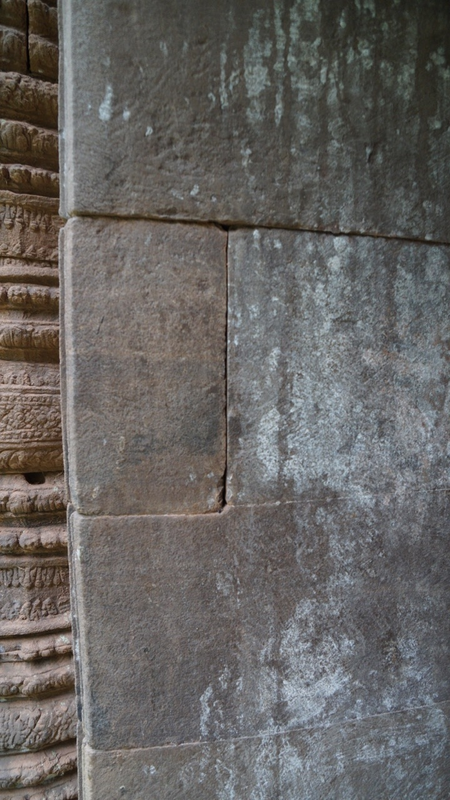 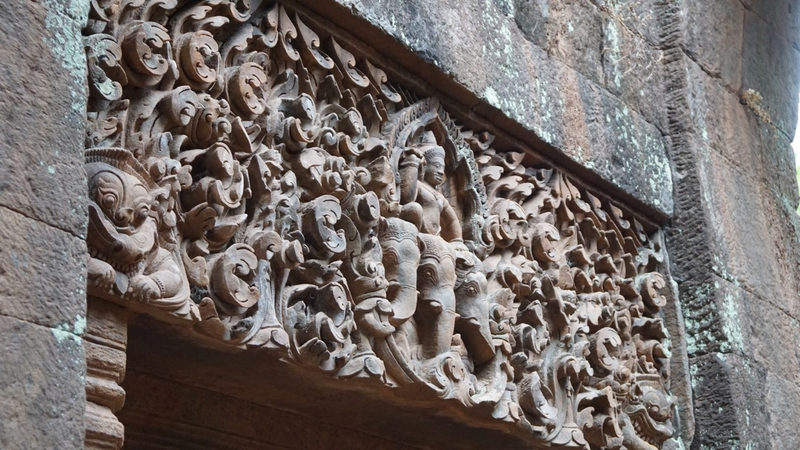 We noticed some impressive features on these such as polygonal masonry, large stones, lathed pillars and intricate carvings (sculpted?). 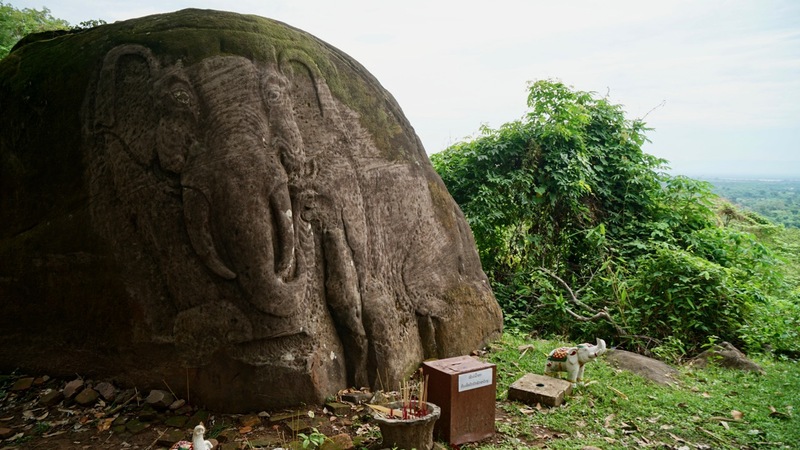 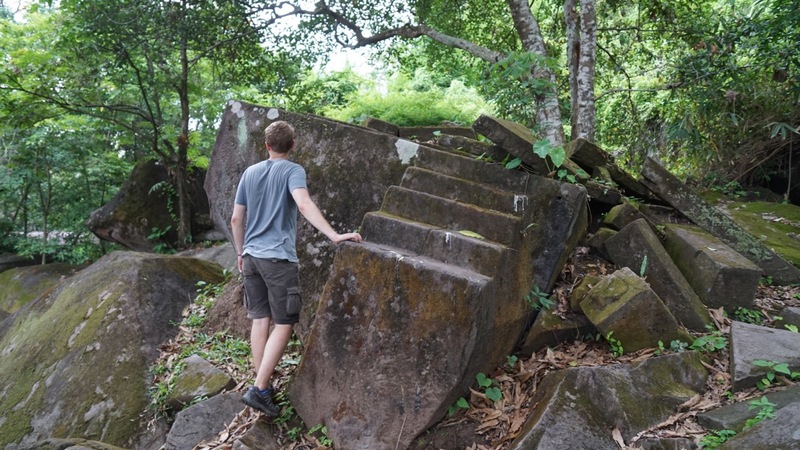 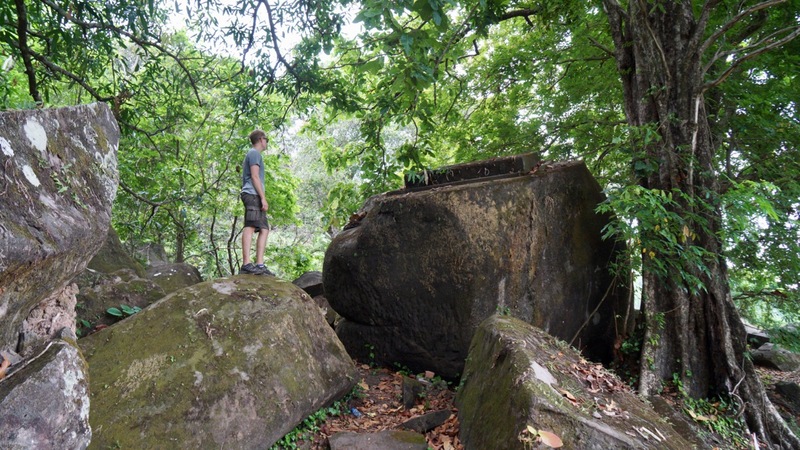 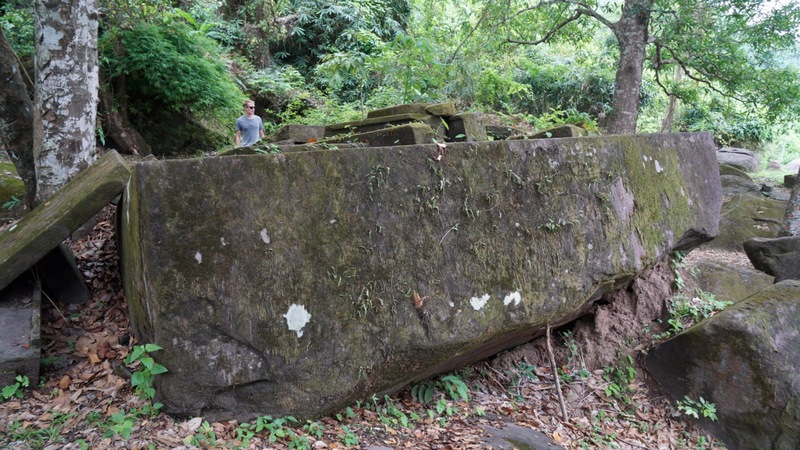 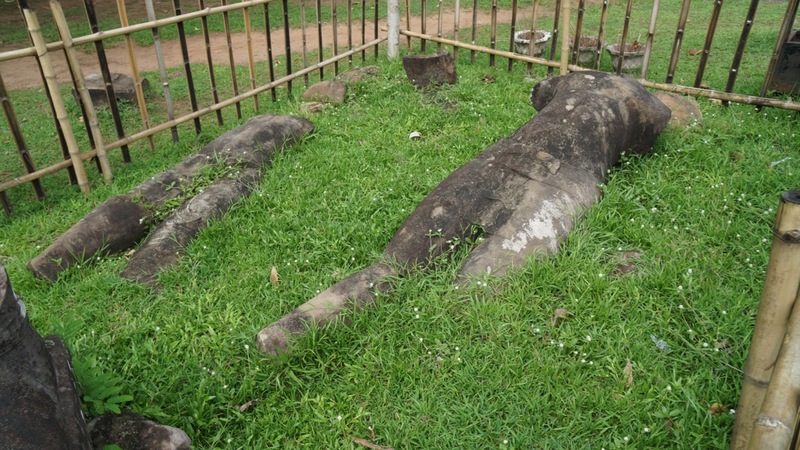 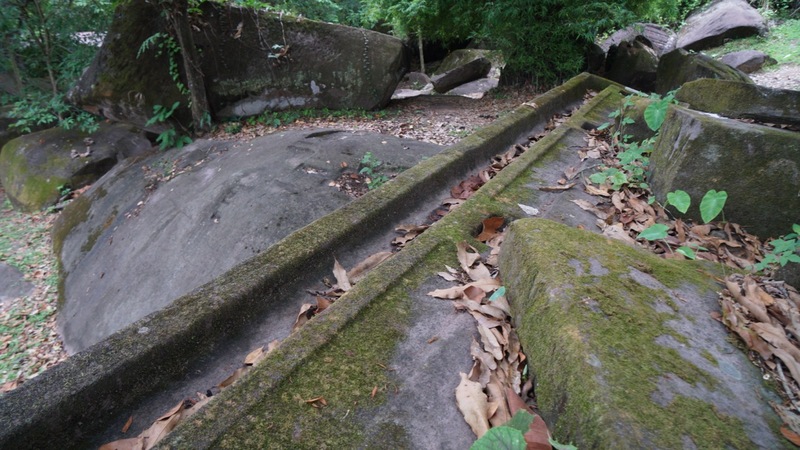 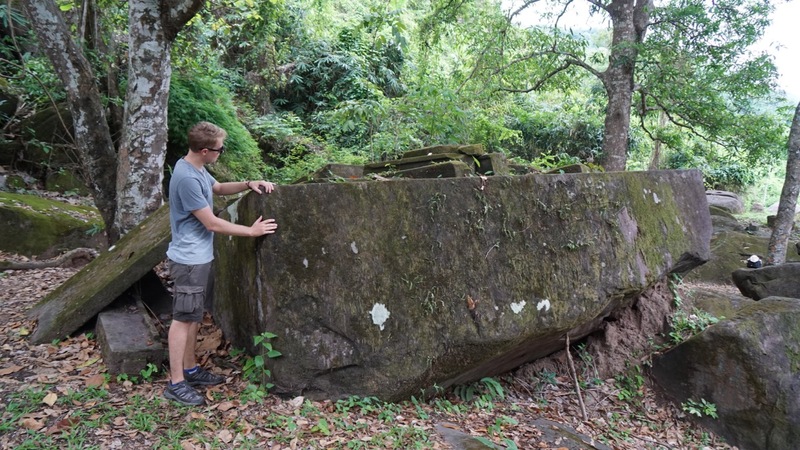 The most interesting and impressive area we found was on the edge of the jungle at the top of the site, where lay scattered dozens of huge boulders with carvings and some ruined megaliths. 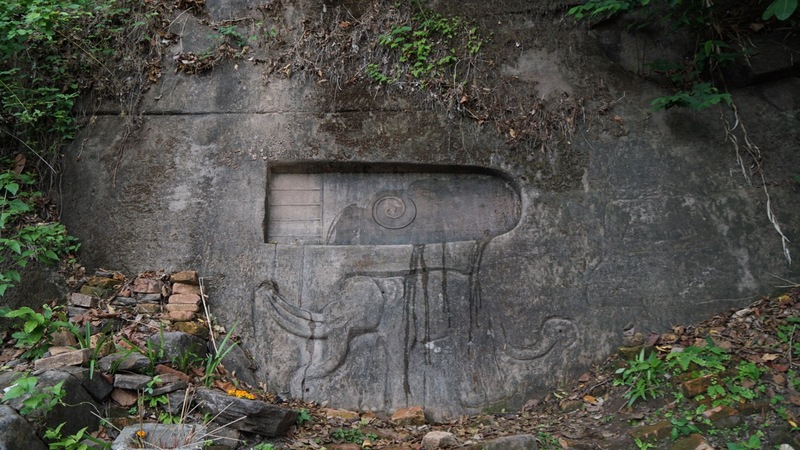 The rocks did not appear attached to the bedrock (they seemed 'thrown' around as if from a devastating earthquake or even flood), and showed carving and sometimes stunning accuracy (right angles, flat edges, precision etc.). 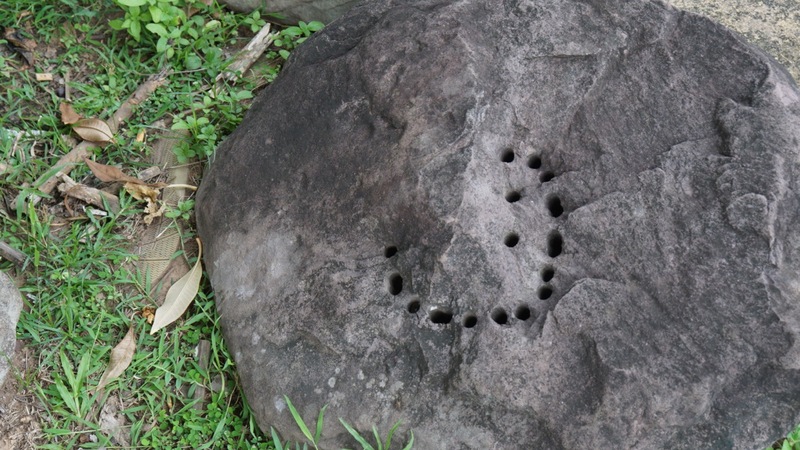 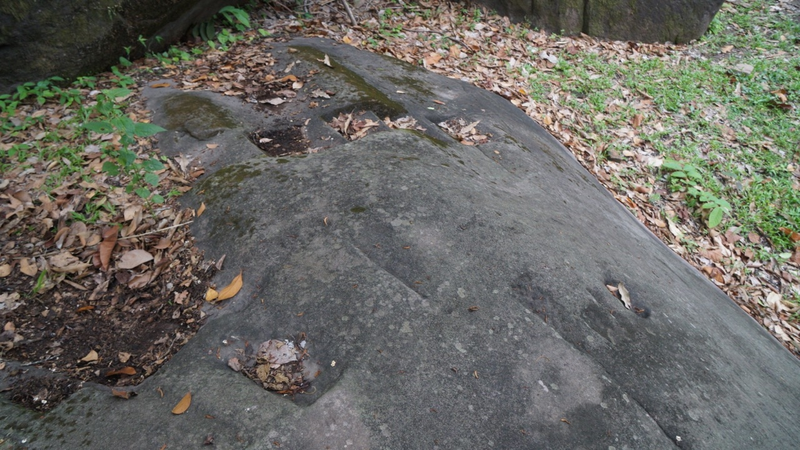 A very large carved round rock was puzzling, as well as a protruding rectangle with 'postholes' carved on top of a very big 'natural' boulder. 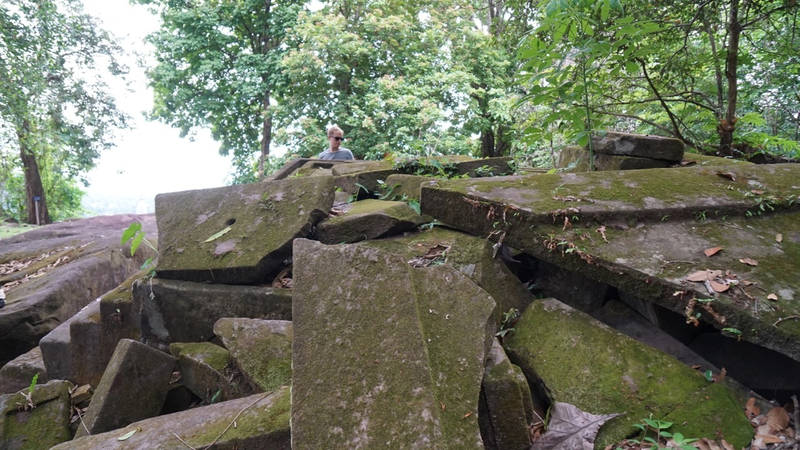 These megaliths seemed to line up exactly with the very large man made reservoirs at the foot of the site, with a path leading through them (as opposed to the 'main' temple which was off the to side of the reservoirs). 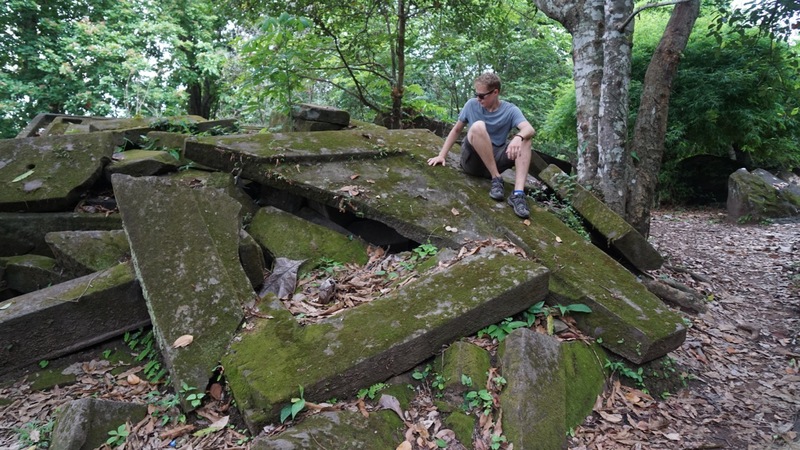 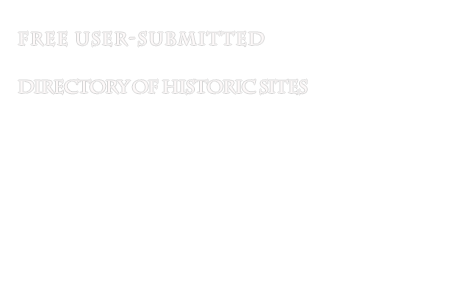 More excavation in the jungle clearly needs to be done here!